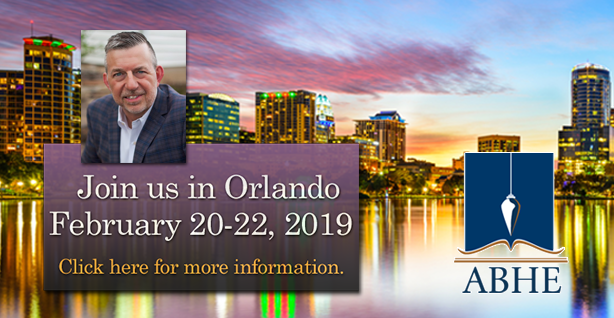 Visit us- Booth 119 – ABHE Annual Meeting! Mark and his wife Gail have two adult children, and and attend LCBC Church. Mark has coached leaders on “Business as Mission” as far away as Eastern Europe, India, Haiti, Honduras, Nicaragua and the Dominican Republic. 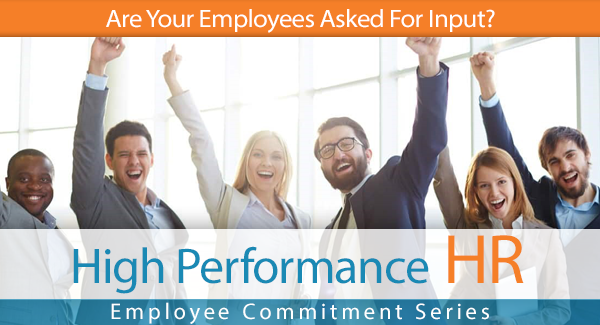 This blog series focuses on nine areas that keep employees committed to your organization. In our opinion, employees stay committed when they are Involved, Paid Well, Asked for Input, Challenged, Empowered, Trusted, Valued, Appreciated, and Mentored. There are many factors that affect employee motivation and performance in the workplace. Although often overlooked, mentoring is one such factor. Mentored employees are employees who feel valued. As such, a mentorship program in your workplace is vital to employee happiness. 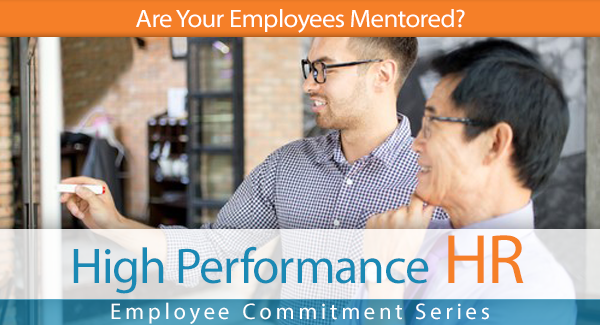 In fact, workplace mentorship could be the catalyst you need to help your employees drive high performance. Workplace mentoring is an organized learning partnership with employees. It involves sharing information, insights, knowledge, and experiences. The aim? To increase productivity and employee value. All successful organizations have one trait in common—great leaders. But it doesn’t end there. To build a sustainable success, leaders must share their knowledge and values with employees. Mentoring is an effective way to pass on this knowledge. Mentoring shouldn’t be restricted only to new employees. Even tenured employees often need guidance. The personalized leadership provided by a mentoring program can yield great rewards. Why Is Workplace Mentoring Important? Mentorship is vital to the culture of large enterprises and small organizations alike. A study conducted by the Chronus Corporationshows that mentorship programs are popular with Fortune 500 companies. In fact, about 71% of these companies offer organized mentorship programs. Another study, among Millennials, reveals that more than 79%think mentoring is crucial to attaining their career goals. But what benefits can you derive from having a mentorship program in your workplace? To get the best results from your employees, there is no doubt you need to train them well. But the training doesn’t have to be through crash courses or organized seminars. Some of the most valuable knowledge we pick up as humans comes through informal settings. A mentorship program provides the training avenue employees need. It’s through mentoring that employees gain or update the knowledge needed to perform at work. Leadership is one of those skills that can’t always be learned effectively in a classroom. A mentoring program, however, is a great avenue through which employees can pick up invaluable skills. This can prove to be of great benefit to the organization in the long run, as a new generation of leaders is already saddled to handle the reins. Transitions can therefore be smoother and retirement gaps easier to fill. From a managerial perspective, reduced attrition is the most important benefit of a mentorship program. A potential for growth and development is one of the major motivational factors that ensure employees stick with an organization. A mentorship program gives employees a necessary sense of belonging. Employees in a mentorship program believe they have a great potential for career progression, which helps them experience their work as rewarding and keeps them contentedly right where they are. So, think about this again: Do you mentor your employees? If your answer is no, or your yes carries a tinge of uncertainty, you have yet to maximize the productivity of your employees. Organize a mentorship program today. Get your HR department involved, develop a brilliant program, and watch as you achieve results you didn’t think were possible. In HIS Name HR helps organizations build high-performance Human Resources programs. Visit them at In HIS Name HR or e-mail them here. The best way to create a healthy workplace environment is through communication and appreciation. As leaders of the management team, it’s vital you work out strategies to show your employees that you both value their work and appreciate their contributions to the team. With good employee communication and understanding, your organization can achieve high performance. One initial step to great leadership is realizing that employees don’t just desire a paycheck—they need recognition and encouragement. In fact, a recent Harvard Business Review article stated that “people are more likely to jump ship when they have a horrible boss.” So, it is just not pay dissatisfaction that makes employees leave; typically it is poor leadership. 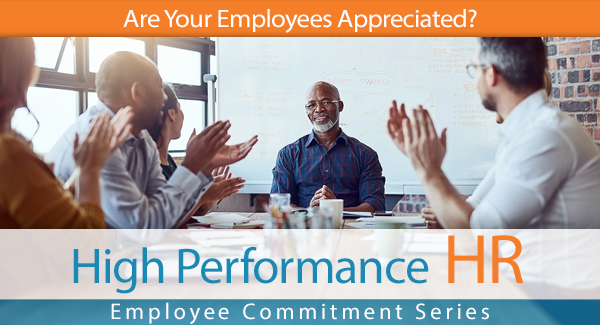 It’s easy to say “Thank you,” or “Good job,” and just be done with it, but there are countless meaningful ways to show support and respect for your employees while encouraging better performance. Many of us being Christian leaders in the workplace, it’s also important to ensure we help people to understand their contribution to the greater good. There’s never been a better time to demonstrate inspired leadership and show your team members what a difference they make. We need to be a light in a dark world. I recently spoke to an employee at an organization who has never been to church. His only exposure to Christ was through Christians in the workplace. That is a hefty responsibility for us. One issue that many leaders have, however, is a lack of understanding in terms of how to communicate with employees. Often, we take for granted our employees’ performance, which can lead to resentment and not feeling valued in the organization. Employee recognition often holds more value if it’s peer-inspired, and putting employees in charge of honoring each other’s best efforts can be an ingenious way to inspire confidence. By allowing employees to tout each other’s best efforts and choose their own reward plan, you build a culture of praise and ownership. But remember: The best ideas come from employees. Instead of you dictating what their rewards should be, put together a team to solicit ideas. Absent leaders who don’t take the time to connect with their employees rarely see the best results. Your employees are hardworking contributors to the success of your business, and spending time connecting with them is vital. From generating their best ideas to feeling a genuine desire to please you, making connections with your employees goes a long way toward forging a strong mutual relationship that will do wonders for you andthem. Whether it’s having an instructor in or providing mobile learning, letting your employees engage in learning to develop their already strong skills demonstrates a great deal of faith in their abilities. When an organization, and a leader, invests in employees, it shows an appreciation for the value they have to offer, as well as faith in their expertise. Nothing is more motivating for an employee than feeling as though their contribution is appreciated enough to nurture. Nothing says respect like asking for feedback. And while it can be difficult for employees to feel comfortable telling you what they really think, there are different methods to open the channel of communication. From an online survey to developing an old-fashioned, Christian, open-communication bond, there are several ways to communicate how important your employee’s feedback is, both to you and the future of the organization. After all, nobody grows an organization alone—we require employee feedback. Implement a system that encourages feedback, such as one that consists of a set of questions regarding their likes and dislikes in the workplace and on the leadership in the organization, and provide open fields to allow for free expression. Consider using a 360-LeadershipAssessment to help develop your leaders. When employees feel heard and free to contribute, they’re far more likely to take ownership. One of the best ideas for incentives I’ve ever heard is setting aside time as a way to reward your employees. Giving your team the gift of time off for doing a bang-up job can be incredibly motivating. Encouraging them to take that time and indulge one of their passions is even better. Whether it’s volunteering time at a local charity, ministry, spending time with their children or taking some time to partake in physical exercise, there are lots of nurturing and inspiring ways to reward your employees with time. As leaders, it’s up to us to create the bonds we want to enjoy with our employees and the culture we’d like to implement on the job. Appreciation and healthy communication are vital to this dynamic, and there are many ways we can go about nurturing an inspiring work environment. Have you enjoyed particular success rewarding and motivating employees? Or do you have other inspiring ideas to share? If so, let us know. Every organization that hopes to achieve its goals and objectives needs employees to commit to the task. As employers, it falls to us to keep our employees motivated. As any employer knows, unmotivated employees contribute less to reaching organizational goals. Motivated team members are the hallmark of a progressive organization. In fact, they often go above and beyond for their organization. What makes them so motivated? It’s simple—they feel valued. 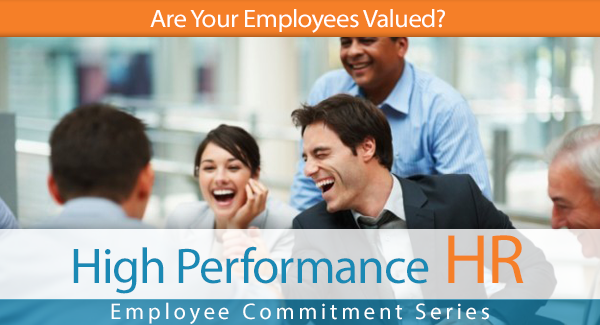 Organizations that go out of their way to make their employees feel valued often reap great rewards. As a manager, one of the most important things you can do is to show your team their value. And while it’s important from a productivity point of view, that’s not the only reason. From a Christian perspective, we all deserve to feel valued. To know that our contribution makes a difference. To understand that our work is for the greater good. There are several ways to contribute to an employee’s sense of value. For example, making it clear that every role has a direct impact on the good of the organization. Communication: Open the channels of communication between employees and leadership. It’s important to listen to employee opinions and follow suggestions where appropriate. Making changes based on employee feedback sends a clear signal of value and appreciation. Communication should always be professional, but never stiff or distant. A leader should always be willing to facilitate smooth communication with employees. Open and natural communication with the leadership team makes employees feel valued. Showing Appreciation: The best way to motivate employees to do more is to show appreciation for tasks already done. On a personal level, a “Thank you for a job well done” can lift employee morale faster and higher than just about anything else. Many organizations send appreciation emails to employees after a significant win. Events dedicated to rewarding employees are also great on a yearly or even monthly basis. This type of reward system spurs employees to do more. But the organization must be consistent and transparent in its dealings to ensure sustainability. Encouraging Work–Life Balance: As a manager, it’s important to appreciate and respect that employees have a life outside of work. Placing heavy value on work at the expense of employee personal lives is counterproductive. Work schedules should be flexible, even if only to a small extent. Managers should not be quick to say no when employees request time off to attend personal events. For any organization to produce results, you need the full commitment of all employees. Leadership should never simply expect employees to have the desire to move the organization forward. The reason behind this is clear. Employees often have a lesser stake in the organization. Yet, as a manager, if you’re able to make your employees feel valued, there is no limit to what can be achieved. In order for any organization to achieve high performance in these difficult times, it’s important that your employees be committed to your organization and your organization’s success. In order to gain the commitment of your employees, leaders or managers need to include employees in some of the organization’s decision making and show they trust the employee to do what’s in the organization’s best interest. The human resources department may be able to give you tips on some ways to engage your employees and build trust. In the meantime, here are some ways to help you build employee trust and commitment. One of the most important ways to secure your employees’ engagement and commitment is to show you value their input and contribution to making your organization a success. Everyone wants to feel valued and showing each employee that you appreciate their contribution earns their trust and makes them more committed to you and the organization. In order to garner input, you must have a foundation of trust. Trust is an “evolving thing that ebbs and flows,” says David DeSteno, a psychology professor at Northeastern University and author of The Truth About Trust. If you don’t have trust, more than likely you won’t get honest and in-depth input from employees. In fact, we often find that when trust is lacking, it’s rarely worth the time and effort required to survey or interview employees for ideas—they just don’t have the energy, or care to contribute earnestly. In order for any organization to move ahead, they need to set goals. Use goal setting to build trust by first setting your top-level goals and then allowing your employees to set their own short-term goals and objectives to reach yours. You may be surprised to discover that, given the opportunity, your employees will set higher short-term goals and clearer objectives than your HR department likely would. You can then use the annual review process to assess achieving the overall organizational goals and how well your employees have stepped up to do so. Another thing your HR department or supervisor can do is to let your employees define their own job description. By encouraging your new employees to research the best practices in their area of responsibility and examine what experts in their field think their job should entail before writing out that job description, not only will that job description be far more detailed but they will include much more in the job description than your own HR department would. When you give your employees the responsibility of defining their own roles in your organization, they will be far more willing to shoulder added responsibility than they otherwise would. One of the best ways to show your employees that you trust them, and to solidify their commitment to you, is by involving them in problem solving. Whether you are trying to bring a project in under budget, cut expenditures to make more profit, or deal with other organizational issues, sharing critical or even confidential information and allowing your employees to solve the problem will definitely solidify their engagement with your organization and strengthen their commitment to the organization and its welfare. These are just four ways in which you can demonstrate that you trust your employees. What has been your experience? How do you managerially or corporately develop and demonstrate trust with your people? Leave comments below. We value your contribution. In His Name HR helps organizations build high-performance Human Resource programs. Visit them at In HIS Name HR or e-mail them. 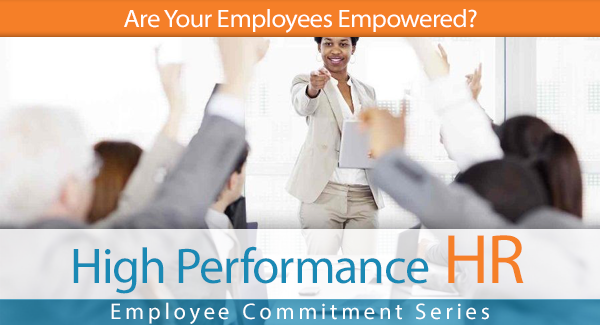 Are Your Employees Truly Empowered? An organization’s most powerful asset is its workforce, and many leaders lose sight of that. While the metrics may center on the finances, enrollment numbers, on-time delivery, user statistics and customer feedback, ultimately it’s the frontline employees who are giving their all to keep the organization strong. Our experience is that no matter the product or services offered, many organizations miss the mark when it comes to how to empower employees. To that end, being sure to empower your employees will go a long way toward both increasing productivity and lowering attrition rates, not to mention ensuring strong interaction between employees and the people you serve. From a Christian perspective, it behooves us to empower everyone we can, and doing God’s work is just as vital at work as it is at church, at home, and everywhere we interact with others. From a leadership perspective, we trust our employees to represent the organization in the best possible way—but this can be faulty logic if employees do not feel as though their contribution is vital to the health of the organization. Failing to make employees feel needed and empowered can lead to resentment, poor performance and high staff turnover. It can wield a real impact on the success of your organization in several ways. For example, a 2017 Gallup pollshowed that 51% of the U.S workforce does not feel engaged at work—disengaged workers have been found to cause corporate losses of between $450 and $500 billion per year. Recent studies have also shown that promoting employee happiness leads to an increase in engagement, which ultimately encourages employees to take ownership in the success of the organization. True leadership means promoting a clear vision of organizational success and enabling your team to take ownership in order to reach that success. By helping to define the organization’s vision, along with defining the roles people need to fill in order to contribute to the overall success of the organization, you succeed in giving your staff the clarity they need to move the business ahead. One of the most critical steps you can take to help your employees feel empowered is to demonstrate that you trust their expertise and have faith in their decisions. By allowing your employees to use their knowledge to brainstorm and implement viable processes and solutions, you demonstrate your belief that their contribution is directly responsible for the success of your venture. While many organizations take the attitude that developing process is something only management can do, your frontline staff can almost always provide you valuable input, so treat their knowledge as an asset. By communicating clearly and ensuring that employees always know exactly where they stand, you open the door for a balanced, happy workforce. From day-to-day expectations to organizational-wide policies, and everything in between, making sure that your communication is both heard and understood leaves little room for misunderstanding, and helps employees to feel as though they are important enough to be in the know. No matter how much work you put into making your employees feel empowered, little will come of it if you stride by the proverbial water cooler each day and don’t bother to interact. Team building is a vital component in engaged, cohesive teams, and that means not only helping your staff engage with each other but participating in the interaction. Great leadership starts with a true understanding of the organization from the ground level up. Taking the time to connect with employees is a vital means to achieve that. Knowledge is empowerment, and by allowing your employees the chance to engage in self-directed learning, you offer true empowerment that can last a lifetime. Whether through self-directed learning or by establishing other means such as an organization-wide education platform, allowing your employees the opportunity to learn about job-related subjects not only improves work performance but allows them to feel stronger in their area of expertise. Consider building learning into your annual review process. Have a section where employees can identify their strengths and build on those. Oftentimes, review systems zero in on the negative. In contrast, our process focuses on the positives while mitigating and eliminating the deficiencies, or what some call negatives. Learn more about how we partner with organizations here. Offering learning opportunities also illustrates to your staff that you view their expertise as a worthwhile investment, which creates a lasting bond with the organization. Overall, empowering employees helps plant the seeds for long-term organizational growth and success, while building strong, highly engaged teams. Offering your staff this type of support will go a long way toward helping them feel invested in the success of the organization while ensuring healthy customer and client relations. From improved productivity to employee engagement, empowerment of this kind is an investment in your greatest asset—your workforce. It’s also always the right thing to do, as both a leader and a Christian. Do You Ask Your Employees for Input? No individual can competently run an organization singlehandedly. And when more than one person is involved in running it, someone needs to be in charge of decision making. If you happen to be the leader at your place of work, that responsibility largely falls on you. But the fact that you call the shots doesn’t mean the opinions of others don’t count. Your employees have their own opinions, but the question is, how often do you ask them for input? Why Is Employee Input Important? Leadership consultants tell us that organizations should announce that they welcome feedback from employees. They should go a step further and actively solicit this input. Employees often have strong opinions but tend to keep them private for fear of offending management or speaking out of turn. Yet, constructive criticism from employees can improve productivity. As a manager, it’s imperative to ask for and value the opinion of your team members. Employees view issues from a different perspective. And even if you don’t agree with them, a fresh perspective is always welcome. The results of a survey conducted by the Zenker Folkman firm suggests there is a direct connection between soliciting input and leadership effectiveness. However, a leader doesn’t simply become better by asking for feedback. The correlation stems from the fact that seeking input from employees means a leader is making conscious efforts to get better. And the leaders that get better are those who constantly work to improve their leadership methods and skills. In fact, arguably one of the worst actions an employer can take is to solicit feedback and then ignore it. There are many methods to request input from employees. Below are some of the most important or common ones. It’s important to conduct periodic reviews in order to monitor progress. This will help you devise new strategies to reach organizational goals. 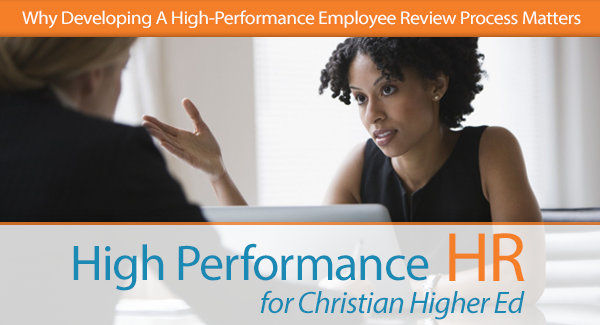 Although annual performance reviews are already a major part of the culture of many organizations, there are numerous questions that surround their relevance and effectiveness. These questions tend to stem from the approach rather than the process itself. If done right, annual reviews are a great tool through which an employer can gather employee input throughout an organization. We find that the best review process is one that is led by employees. Have the employee set up the meetings, set goals and objectives, and develop their own career development. When done correctly, and with HR and leadership review, you can move the organization to much higher levels of performance. A 360-degree feedback system is a method of gathering opinions about the performance of an employee from people connected with the organization. The process usually involves a complex web of information. Opinions are gathered from virtually everyone in or close to the organization. While this tool can be used to gather information about anybody within the organization, a leader seeking input from employees can use it effectively for this purpose. The most important aspect of a 360° program is confidentiality. One of the best ways to ensure confidentiality is to hire a firm to keep this information protected. 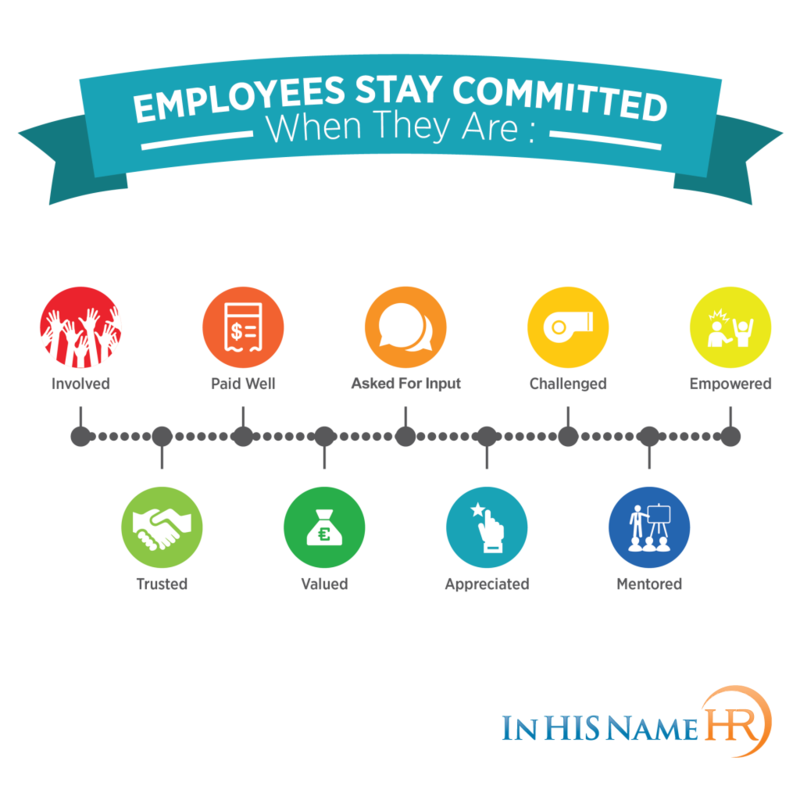 Learn more about how In HIS Name HR helps organizations ensure a confidential processhere. These surveys measure the satisfaction of employees with their work environment and the leadership of the organization. They serve as a great way through which employees can provide input on aspects of the organization they are not pleased with. Start Asking for Employee Input Today! As a manager or a human resource professional, it’s important to create an enabling environment. This way, employees can provide their input with confidence. But it’s not enough to simply create this environment or ask for input. Organizations should value the input of employees by listening to their suggestions. Getting what you think is ridiculous advice? Have a talk with the employee. Clarify what is being communicated. When you listen first, and then explain your perspective and organizational goals, it gets employees thinking on track over time in terms of viable suggestions. Most importantly, implement changes when you get great advice. 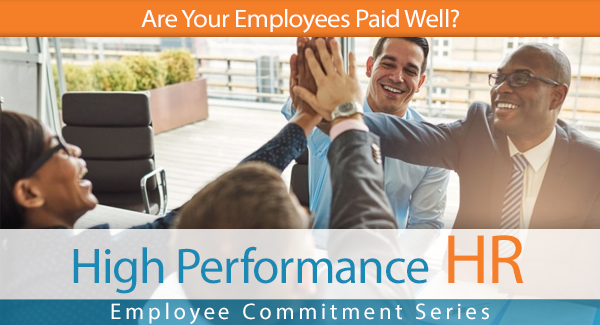 Are Your Employees Paid Well? In our last post we discussed the concept of employee involvement in the workplace. The next area focuses on helping readers understand the concept of being paid well in the workplace. Most organizations look at several areas of compensation: standard pay, perhaps health and wellness and retirement benefits, and, in some industries, bonus programs or long-term financial incentives. For the sake of brevity we will discuss two areas, standard pay and general generosity with your employees. We often do compensation studies for organizations, including churches, ministries, for-profit and non-profit companies, and colleges. These studies are very important for all organizations, and should be performed at least every five years. You also should look internally at your compensation structure, being mindful of internal equity issues, especially as it relates to disparate treatment between protected-class employees. “Most companies try to be good about keeping it up-to-date, but they tend not to do it as quickly as they should,” says Steven Slutsky, a director at Pricewaterhouse Coopers Human Resource Services in Philadelphia. Doing a full-blown compensation study not only helps you to understand internal equity and current compensation market conditions but also helps promote a greater organizational image to your employees when they know you are performing this type of study. It is a great morale boaster, even if the wages don’t shift upward. The most often question that we are asked is, “How do we even begin to do a salary study?” We always start the same way—leading organizations to undertake a total update and rewrite of all job descriptions across the organization. This establishes a solid baseline of what employees are doing and why. Wow, the ox was permitted to eat during its workday. Sadly, many organizations don’t extend the same consideration to the most valuable commodity of their organization—their employees. Many years ago I witnessed a young teen working at a local pizza shop, making minimum wage. The owner was a cruel, selfish man who refused to provide any food or beverage to his employees unless purchased at full price. The owner’s children would come in and help themselves to all kinds of food, which they left behind, half-eaten, to be thrown away, but the floor sweepers got nothing. The shop owner also insisted upon destroying any leftover, unsold items at the end of each evening rather than offering them to his employees. Dear leaders, please do not fall victim to becoming a tyrant in your workplace. Be generous when you can. It is an investment that pays huge dividends in any organization. Be generous to your people and you shall be rewarded. Some of the most impactful gestures of gratitude and appreciation that I have given my people were the least costly—small lunch celebrations, or boxes of favorite chocolates. If you act with kind regard, with generous giving, you are building a strong Kingdom-minded organization while honoring Christ. Remember: Virtually every single employee will give you 100 percent when they know you care. Lastly, in relation to this premise, it is important to reflect on this piece of scripture. So why are we sometimes hesitant to share with the very people we should care about the most? We need to be more generous, because in the end we really are left with nothing to take with us. In an article in Fortune magazine, Dan Schawbel stated that the primary priority for business leaders would be “retaining employees in a competitive talent marketplace.” He added, “In a new study by Future Workplace and Kronos, we found that 87% of employers said that improving retention is a critical priority for their organization.” Mr. Schawbel’s suggestion to focus on retention is spot on. Let’s start with the first area, Involved. Oftentimes, when we first engage with an organization, leadership asks us to implement programs to immediately improve employee relations. We hear, “Employees are leaving in droves,” that turnover is high. Or “Our pay is too low. We repeatedly lose people to organizations that pay slightly more.” Excuses and explanations abound. But when we ask the key question How do you know the true reasons people are unhappy or why they are leaving?, the explanations are generally theoretical or hypothetical, not fact-based. Our first suggestion to any organization: Don’t make changes or implement programs without first determining what the core issues are. Doing so is a waste of money and time, and can also hurt your organization’s culture and morale. That is where being involved comes into play. Use a skilled facilitator to run employee focus groups. Include representatives from each department. Have those same representatives talk to their departmental colleagues about what might be important to address. One area many organizations bypass is the exit interview. An exit interview is a valuable tool to collate critical data and ascertain employees’ true reasons for leaving. Ask simply whether they felt involved in their departments, and with the rest of the organizational team. Ask them to suggest how your organization could do better in this area. Finally, one of the best ways to uncover potentially problematic issues in your organization is to conduct confidential 360-degree feedback assessments of your leadership staff. Used the right way, it reveals key trends in certain areas of employee relations. As a plus, your findings can also serve as a tool for organizational-wide leadership development. Most important: When employees are given access to their leadership, they walk away not only feeling heard but also involved in the organization.